For a week in the spring of 2012, CBC-TV's Connect with Mark Kelley set up a video booth in a school in Gatineau, Que. More than 150 students streamed into the booth to pour out their personal anecdotes about bullying. They revealed an array of raw stories from all perspectives — the bully, the bullied and the bystanders — as well as how they try to "bullyproof" themselves. Explore their stories below and what's being done to tackle the problem. When a bully strikes, figuring out how to handle the attacks is no easy task. Debra Pepler, a psychology professor at Toronto’s York University, did a study in 2007 that asked kids how they try to cope with bullies. What she found was almost half of the respondents tried to ignore the bullying. About one in five reported not doing anything, while most said they tried at least one strategy. Girls were more likely to get help to stop the bullying, while boys preferred using humour, physical aggression or revenge, her study suggests. Insulting the bully or other verbal responses. Hitting the bully or other physical responses. Telling someone, such as a parent, friend or school staff. Standing up to the bully verbally, in an assertive but rational way. But what’s the best way to handle bullying? Pepler, who also co-directs the national anti-bullying organization PREVNet, says emotional responses were more likely to lead to continued bullying. Meanwhile, a more rational response — standing up to or ignoring the tormentor — is more likely to "de-escalate" the attacks. "The children who can stand up and be assertive are able to control themselves, and they have a bit more ability to cope," says Pepler. But the longer the bullying went on, the harder the students felt it was to stop the attacks. And that’s why Pepler argues it’s important for adults to step in. "Unless adults support children and youth, students are likely to do nothing and gain a sense of helplessness." Schools, governments and parents all tackle bullying in different ways. But can society fix the problem? A 2010 World Health Organization report suggests that the incidence of bullying of children is actually on the decline, possibly thanks to reduction efforts and changing attitudes. It found that direct interventions by school staff greatly reduced bullying, but classroom activities, like anti-bullying presentations, can aggravate it. Government support through public awareness campaigns can also help, the study said. One in seven Canadian children aged 11 to 16 is a victim of bullying. In 1993, Judi Stevenson, a school principal in B.C., tackled the bullying problem with an acronym: Walk away, Ignore, Talk it out and Seek help. Since then, the WITS program can be found in more than 150 schools across Canada and the U.S. Created by Mary Gordon, Roots of Empathy brings babies into classrooms to teach students about kindness. The concept has been exported to the U.S., New Zealand and Ireland. In 2004, the Manitoba government created the Safe Schools Charter, which forces school boards to keep provide a secure environment for all children. In November 2011, Ontario introduced the Accepting Schools Act, which, if passed, would force all boards to create anti-bullying programs. Quebec followed suit in February 2012 with Bill 56. Perhaps the most famous anti-bullying project in recent years is It Gets Better, which started with an online video by gay columnist Dan Savage and inspired clips by everyone from comedian Rick Mercer to U.S. President Barack Obama. In November 2011, Toronto teen Jacques St. Pierre took the concept further by creating I Will Make It Better, a youth-led group that’s helping schools stop harassment -- and got a personal endorsement from pop star Lady Gaga. Talk to counselors on the confidential phone line or web forum. Tips on how to handle bullying. Play a game about bullying. Learn more about bullying or share your story in poetry, images, videos or music. Resources for teachers, recreation leaders and school bus drivers. A resource manual on bullying and reviews of a number of school-based prevention programs. Resources for addressing bullying at schools and in communities. A classroom version of Connect's #bullyPROOF documentary, plus a teacher resource guide. Bullying prevention tips, signs of bullying and ways to tackle it. How to tackle cyberbullying and a guide to online acronyms. How cyberbullying works and tips for handling it. A non-profit organization that provides resources on bullying to parents and teachers. A collaborative project that provides a wide range of resources. A national non-profit aimed at making schools and communities safer. A comprehensive look at cyberbullying with sections for kids, teens, parents and teachers. A Montreal-based group that seeks to reduce violence affecting youth via workshops and media arts programs. Bully doc gets PG rating in Canada, R in U.S.
Monday, May 28: A student who has lived in fear for years talks to Mark Kelley. Tuesday, May 29: A woman who was a bully in her younger years reunites with her former victim. Wednesday, May 30: By publicizing teen suicides, are we raising awareness or making the problem worse? Thursday, May 31: Research shows bullies suffer psychological damage years later. A look inside the bully's mind. Friday, June 1: Everyone seems to have an answer to the problem — so why haven’t we found a solution? Tell us how you did it. You can tell us in a video using the form below or send us a photo of yourself with your story in the description. It's quick to register and easy to submit. 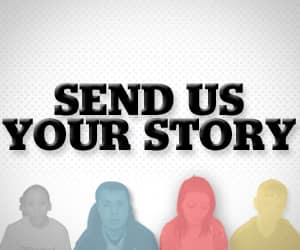 Your stories may be used in future stories on CBC News Network or at CBCNews.ca. We want to hear from you!